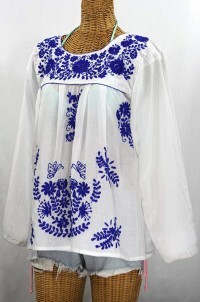 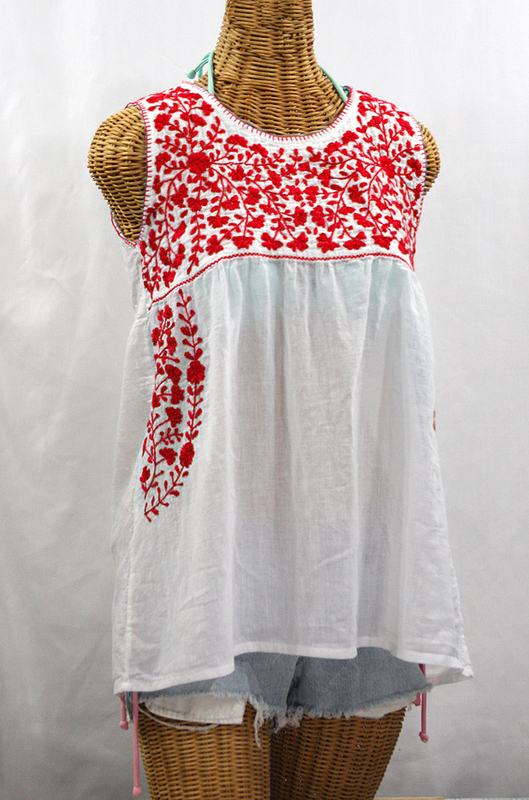 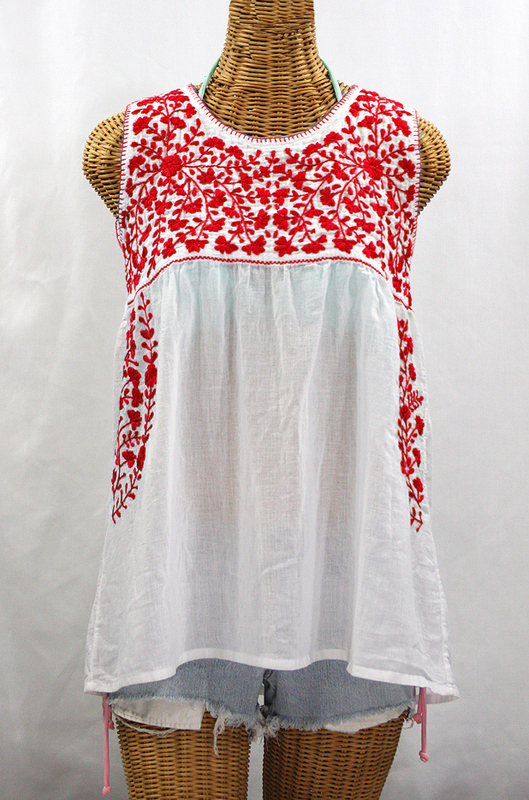 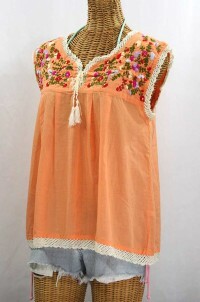 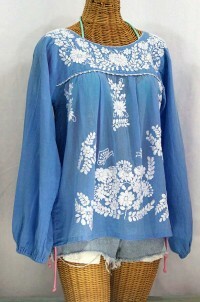 • Sleeveless peasant top with ornate floral embroidery stitched by hand, available here in white with red embroidery. 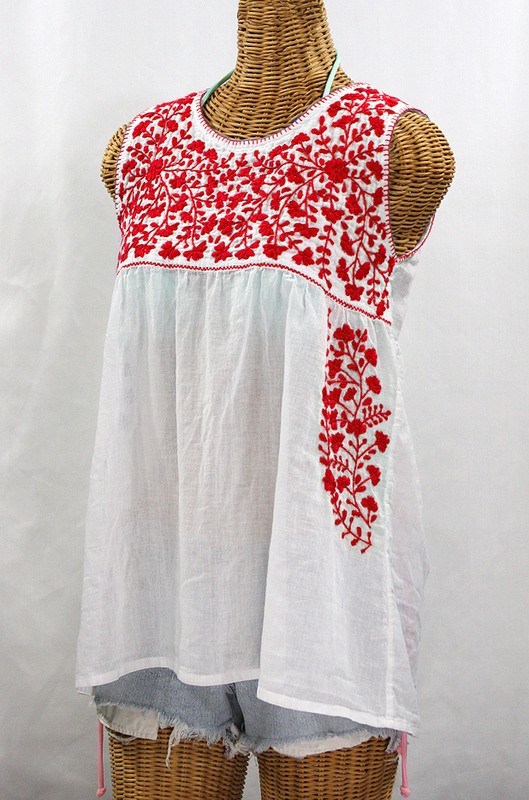 • Gauzy and semi-sheer 100% cotton make the Sirena super light and cool, bringing bohemian style and gyspy flair to all your warm weather adventures. 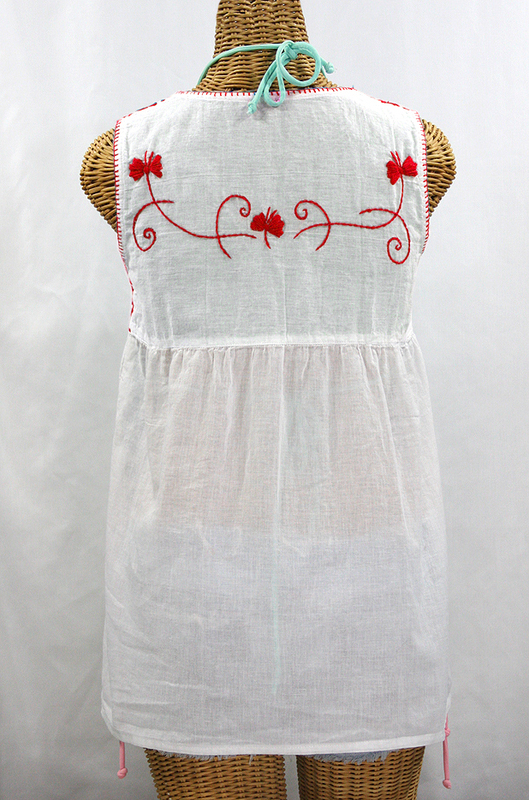 • Dyed, distressed and embroidered entirely by hand for an authentic, retro-vintage and hippie gypsy bohemian look and feel. 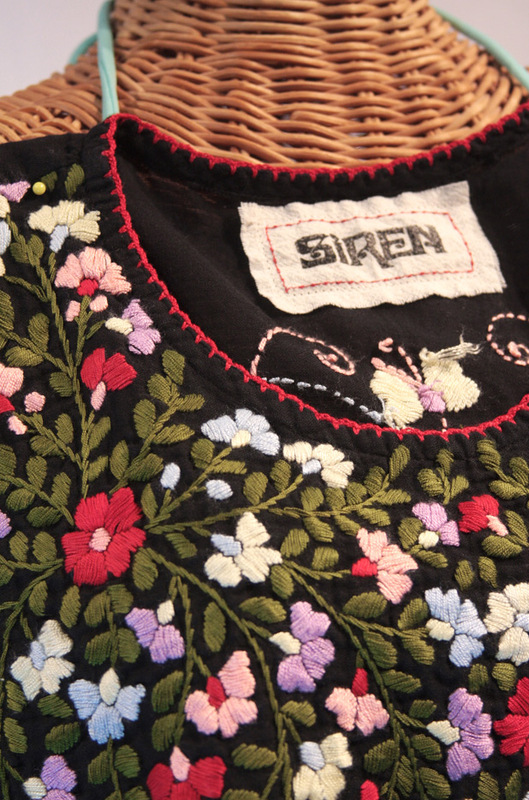 • Our colorful and ornate floral embroidery patterns harken back to the traditional hippie peasant Mexican blouses of the carefree 1970's. 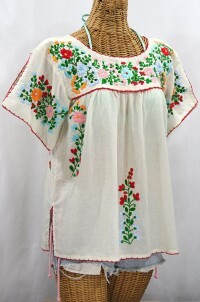 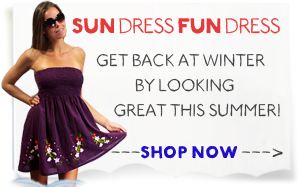 Bust (all the way around): 36"
Length (shoulder to bottom hem): 25"